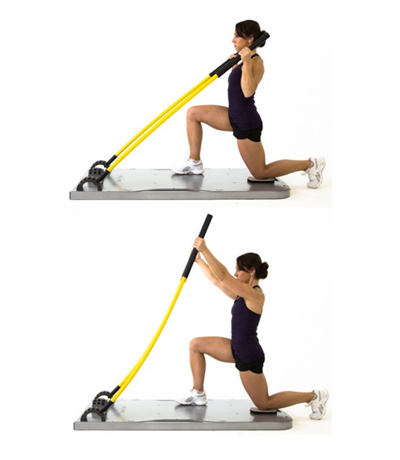 Hinging forward from the hips, keeping back straight, hands at position 2. Standing facing left Stix, body turned 45°. With left hand only, grasp Stix at position 2. Left foot is on felt slider. 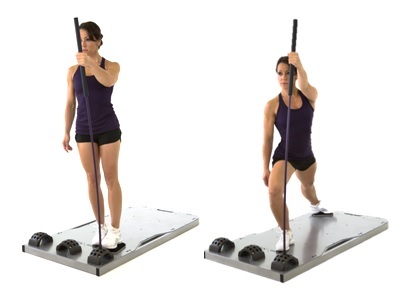 Keeping left knee straight, extend left leg back toward the right rear corner of the board while bending right knee, externally rotating hips. Stix will pull back slightly. 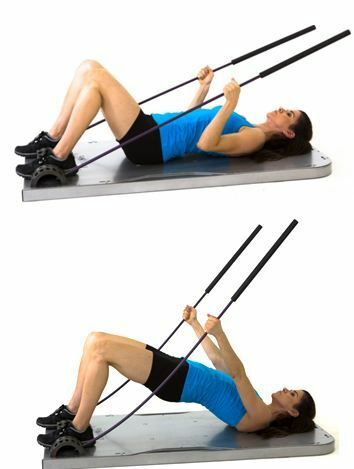 Do NOT use Stix to help pull back up. Driving through right leg, bring left leg back toward the starting position, sweeping the left foot across in front of the right, ending with hips in an internally rotated position, pressing Stix forward with left arm. Keep core engaged throughout. Kneeling on one knee, with the hand opposite the forward leg at position 1, core engaged. 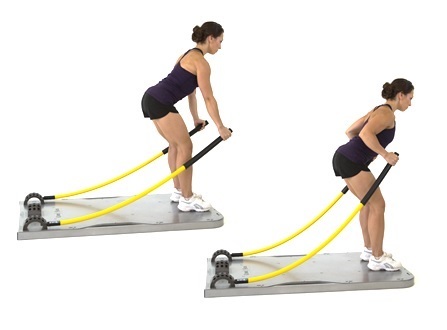 Keeping spine stable and hips facing forward pull handle down toward chest while at the same time rotating shoulders and turning torso toward hand. Hand should end up at sternum. Facing the left side of the board, kneeling on left knee with right foot forward. Hands at position 1. 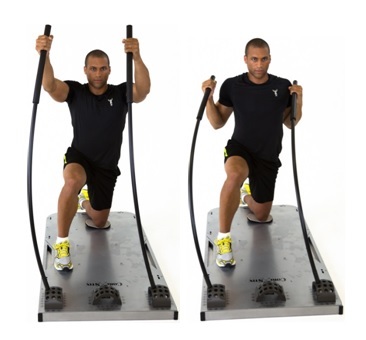 Allow the Stix to pull you into a stretch. Hold 15-30 seconds. Kneeling with left knee on the center of board #5, left foot centered #3. 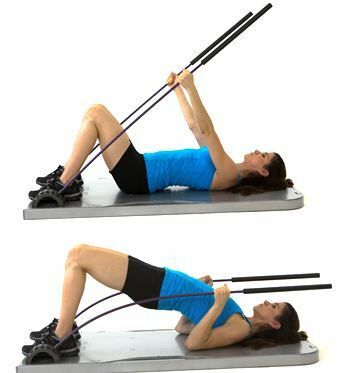 Grab Stix and pull them in line with the body so that hands are in line with shoulders. Maintain good posture – do not lean to the side. Kneel on left knee, right foot forward. Left hand grabs Stix at position 2. Hips are rotated to the left, left foot straight behind body. 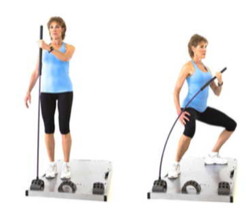 While rotating through the hips, press left hand upward. Focus on keeping the spine neutral, and initiating the movement through the hips. 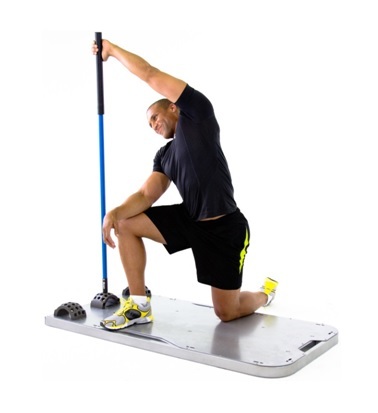 Hold the finish position, squeezing the left glute. Kneeling position, grab Stix at shoulder height.